Zes weken geleden kwam Jamil Jivani, professor aan de York Law University in Toronto, naar België. Met open ogen en kritische blik verdiepte hij zich in het jeugdwerk van de grootsteden. Op onze blog deelt hij zijn ervaringen. Deze week: Een bezoek aan het voetbalevent SHOOT en het belang van jeugdwerk voor gemeenschappen zoals Borgerhout en Molenbeek. 'I can bring my kids here' is a profound statement about the progress seen in the district of Borgerhout, located in Belgium's second-largest city, Antwerp. A native of this community, Karim, told me that since moving away to a nearby town to start his own family, he now feels comfortable bringing his kids back to the community he grew up in, which he says used to be full of negative influences. At a time when Europe is struggling with security challenges, Borgerhout might be a good starting point in thinking about how Europe moves toward a safer future. Last weekend saw a diverse group of thousands, including Karim, in Borgerhout for the eleventh annual SHOOT! street soccer tournament. The tournament was organized by JES and Kras Jeugdwerk, two of the largest youth-serving organizations in Belgium. Teams of five made up of teenagers and young adults competed to call themselves champions, exhibiting incredible speed and skill. 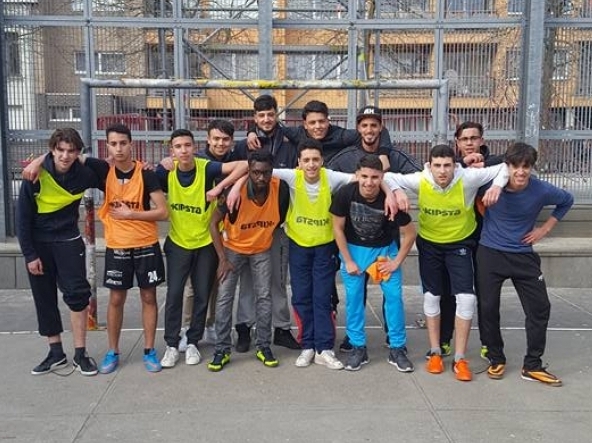 The highlight of the tournament was a semi-final game between teams from the Borgerhout and Kiel-Hoboken areas of Antwerp, which went to penalty kicks and featured some of the most enthusiastic supporters you'll find in sports anywhere. While SHOOT! was taking place in Antwerp, chaos was unfolding forty-five minutes away in Brussels. Far-right protesters affiliated with football hooligan groups attempted to enter Molenbeek for a demonstration in response to the Brussels terrorist attacks. Brussels police stopped these protesters, but in the process of controlling the area conflicted with others, including nearby youth. The incident is just the latest in a series of events that add to a cloud of stigma and tension hovering above the community. Borgerhout has some important similarities to Molenbeek. It is locally referred to as 'Borgerokko' because it is home to a large population of Moroccan and Muslim families. Borgerhout is a growing, densely populated area with significant school dropout and unemployment rates. The district has also been targeted by terrorist groups like ISIS and supporters of terrorism like Sharia4Belgium looking to recruit misguided youth. 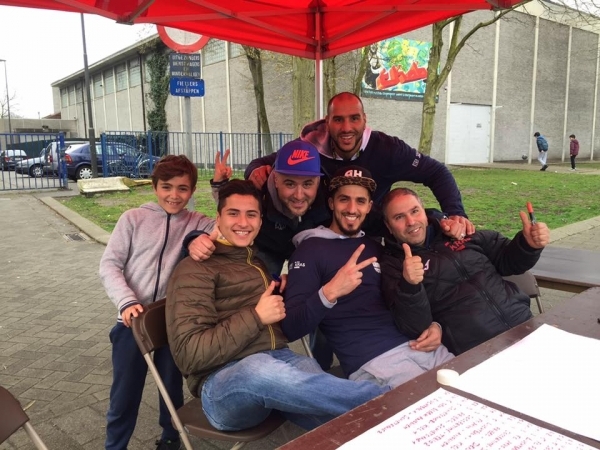 "In Borgerhout, youth workers have engaged multiple generations of residents to build positive social networks that fill the voids left when public institutions, like schools and police, aren't able to build positive relationships with the community. Events like SHOOT! showcase the positive social networks created by youth workers." Unlike Molenbeek, Borgerhout has not been a prominent part of the current conversation about radicalization and terrorism in Europe. Having spent time with youth and community leaders in both districts, I believe events like SHOOT! are a significant part of why. Borgerhout appears to be on track to overcome many of its challenges in part because of the community's tradition of youth work. Youth work refers to community members employed to build relationships with youth and connect youth to social services and wider society. This work is especially important in reaching marginalized communities. 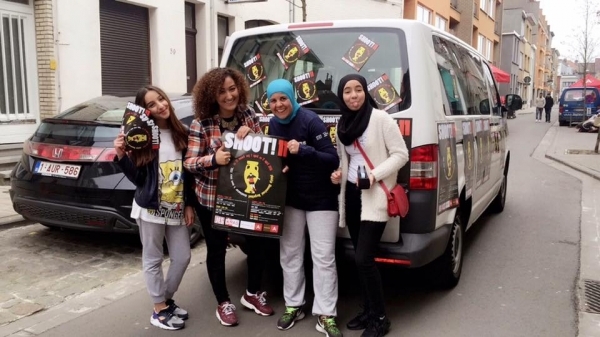 In Borgerhout, youth workers have engaged multiple generations of residents to build positive social networks that fill the voids left when public institutions, like schools and police, aren't able to build positive relationships with the community. Events like SHOOT! showcase the positive social networks created by youth workers. Residents have told me that this tradition of youth work is a critical factor in making Borgerhout safer. This is not to say that Molenbeek does not have talented youth workers making a difference in the community every day. Molenbeek absolutely does. However, youth workers in Molenbeek do not have adequate funding or government support to operate at the scale I've seen in Borgerhout, which is especially important because Molenbeek has twice the population. 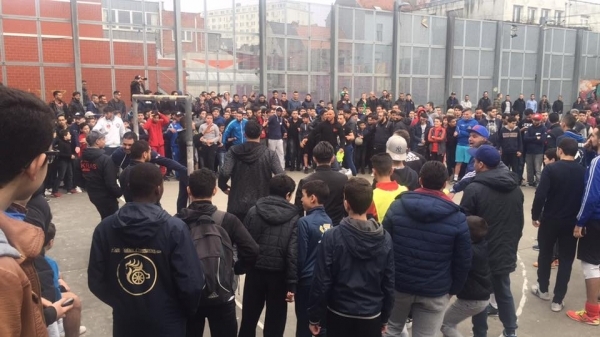 For example, Bonnevie Park in Molenbeek was renovated in 2011, but this investment in public space has not been matched with appropriate investments in youth workers. Bonnevie Park is one example of an under-served area in Molenbeek where residents believe youth are vulnerable to negative influences. When Karim told me he now feels comfortable bringing his kids to Borgerhout, he was speaking in relative terms. Certainly, Borgerhout has significant room for improvement and it would be a mistake to think problems like radicalization or crime are extinguished in the district. As an outsider, though, I have experienced the two communities differently, despite their similarities on the surface. Digging deeper into these differences can be a helpful starting point in thinking about the important role of youth workers in moving Europe toward a safer future.